2007 Adria Vini Barbera da Vine: Retail $10. Our second bottle of this, but the previous notes ring true: After getting over the slight sting of overpaying for this (Last Bottle sold it for $5 for the case and I paid close to twice that for some moronic reason), this was actually quite enjoyable. Still a bunch of fruit left and rather well balanced. Absolutely no reason to hold on to these any longer, but it is drinking great right now and a perfect pizza wine. Good to Very Good. 85-87 Points. 2006 Benovia Pinot Noir Sonoma Coast: Retail $32. Popped and poured and consumed over a couple of hours. Initially there was some really nice cherry fruit, but this faded a bit over time, exposing secondary flavors of spice and even cedar. On the finish, the alcohol seemed just a bit out of balance, but overall Very Good to Excellent. 88-90 Points. 2005 Chaufournais Chinon: Retail ??? Every once in a while, you make a mistake. I got this bottle from the winery in France several years ago for the outrageous price of 5 Euros (about $7). Tonight, I popped the cork, poured a bit in a glass and tasted. It was fantastic–every bit as good as the last bottle of this I had (and maybe then some). Deep red fruit, great balance and an impeccable finish. Then I grabbed for a decanter (don’t do it! ), grabbed the bottle (put it down! ), and decanted the bottle (noooo!). Later, at dinner, the wine was still very good, but the decanting did not do it any favors. I have one bottle left and I sure hope I read this tasting note before I open the last bottle. Unrated this time around do to my blunder. 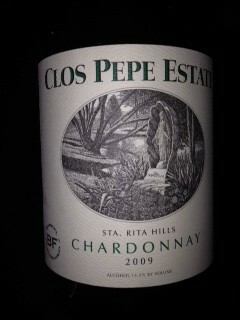 2009 Clos Pepe Estate Chardonnay Barrel Fermented: Retail $30. This wine is certainly improving. The nose reminds me of a really nice Meursault–a bit of fruit and vanilla with just a hint of oak. On the palate loads of lemon zest and even apricot with just the right amount of oak. This wine is superb and will continue to improve. Glad I have nine more to go! Outstanding. 91-93 Points. 2003 Hubert Lamy Saint-Aubin 1er Cru Les Frionnes: Retail $30-35. This is not quite up to the standard of the 2003 Lamy en Remilly, but it is still a fine effort in a difficult year. Plenty of lemon curd and vanilla, but rather austere and chalky, particularly on the finish. Very Good. 86-88 Points. 2010 Oriel Chardonnay Dylan: Retail $25. I had a few of these bottles a while ago and was a little disappointed. This bottle, however, showed much deeper fruit and better oak integration. This will not be confused with a Meursault, but it is a nice chardonnay. Very Good. 87-89 Points. 2010 Martin Pasler Pinot Blanc: Retail $30? Another wine we had recently and the previous tasting notes remain spot on: Bright and tart with great grapefruit and Granny Smith apple. There is lip puckering acidity that balances out the fruit. This is a nice aperitif, patio, light seafood wine that is quite refreshing. Very Good. 87-89 Points. 2006 Tallulah Syrah Bald Mountain Ranch: Retail $32. This continues to be one of my favorite syrahs. Rich, luscious fruit with great structure and balance. The finish lasts for quite some time. This wine is rich enough to be enjoyed by itself, but not so overpowering that it is not an integral part of a meal (it needs to be a bold meal, but nonetheless….). Outstanding. 92-94 Points. 2010 Freie Weingärtner Wachau / Domäne Wachau Grüner Veltliner Terrassen Federspiel: Retail $18-20. I was really ready to like this wine. I visited Austria recently and had some really great wine experiences and Grûner Veltliner is a particularly trendy variety these days. The wine was certainly not “bad” but it lacked the zing and zest that I associate with Grûner. Good, but not much more. 84-86 Points. WINE OF THE WEEK: This was another rather tough week to pick a WOTW, but this time it only came down to two. The first was the 2006 Tallulah Syrah Bald Mountain Ranch, which is still a big, luscious, bruiser of a wine even after almost seven years after the harvest. The other was the 2009 Clos Pepe Estate Chardonnay Barrel Fermented, a wine that certainly is in my wheelhouse–a crisp, old world style Chard with just the right amount of oak. It was a difficult decision in part because of the owners/winemakers of the brands. I only “know” Mike Drash of Tallulah through our intermittent exchanges over social media, through which I have discovered he is a rather active cyclist (point for Tallulah even though this vintage predated Mike’s acquisition of the brand). I have met Wes Hagen of Clos Pepe a few times now and it would be difficult to find a smarter, more engaging and outspoken character than he. He is a bit of a Lakers’ fan, but I try not to hold that against him. In the end, I opted for the Clos Pepe since it really is my type of wine and I find myself quoting Wes Hagen more than any other wine maker (truth be told, I do not run around quoting wine makers–I just don’t roll that way, but Wes said some pretty funny things about Rudolf Steiner that I have used here and there). This entry was posted in Barbera, Biodynamic Wine, Cabernet Franc, Chardonnay, Grüner Veltliner, Pinot Blanc, Pinot Noir, Rudolf Steiner, Syrah, Wine and tagged Clos Pepe, estate chardonnay, sonoma coast. Bookmark the permalink. Wine of the week: 2009 Casa Burmester Reserva Douro Red. In one word – spectacular. “Spectacular” is tough to beat! I assume you had this in Portugal? yes… Didn’t see it on the wine searcher in US. I will talk about it a bit more in the last post for the Portugal series. Did you also like the stain? My wife hates when I do that! I actually love the stains! I will text you my wife’s phone number and you can let her know it is not that big of a deal, OK? Tallulah makes one of the oddest sauvignon blancs I’ve had in a while: ripe tropical fruit, kiwi, and oak toast…wild stuff. Their red is pretty impressive (as is the bottle’s weight). 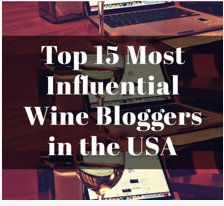 I have not had any of their Sauv Blanc, but we have had the Chard–full blown CA style–big, buttery, with tons of oak…..
Must skip dinner and try their chardonnay some day. WOW: Stoller Vineyards (Oregon, Dundee Hills) SV Estate Pinot Noir 2008! One of the bottles we picked up on our trip to Oregon last summer. Really impressed with the Stoller wines, this one in particular. Just gorgeous!! Salud! I only had Stoller when I was out at IPNC a few years ago. Very tasty!